Ein klassischer Note 4-Song, denn er dudelt nett vor sich her, ohne weh zu tun, und ohne Beifallsstürme zu provozieren. 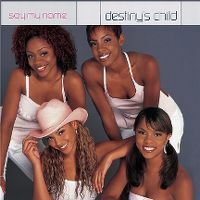 # 1 in den USA 2000. Gefällt mir total super. 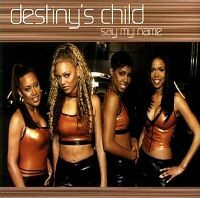 "Destiny`s Child" brachten zur damaligen Zeit eine R&B-Granate nach der anderen heraus. Damit kann ich weniger anfangen. 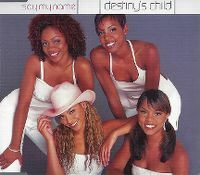 It's always a point of curiosity that Destiny's Child had their highest selling album when they were a 4-piece, though I'm sure pretty much anyone would sooner think of them as a 3-piece. I suppose it's not always easy to tell when Beyonce is the constant presence and most identifiable, everyone else just being not-Beyonce. This song has taken me some time. Not a huge favourite but one I can better appreciate. I feel like the chorus doesn't quite capitalise on the momentum of the pre-chorus and tends to drag. Production is a little goofy at times too, but it comes together decently enough. Kühle R n B Sound.